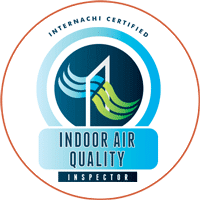 The purpose of indoor air quality testing is to identify hidden hazards in your home, the most common of which is mold. We are all aware of what mold looks like—it can be green, black, pink, practically any colour of the rainbow. But what we do not all realize is to what extent mold can affect our health and our quality of life. The mold we see on surfaces is only the tip of the iceberg. If you look behind that wall, floorboard or ceiling, you will find a much more serious mold problem. 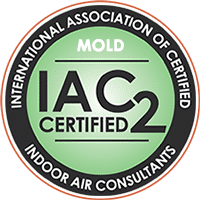 Black mold is capable of not only compromising the structural integrity of your home, but also endangering the quality of the air you breathe and, as such, your health. Mold Busters offers fast, professional indoor air quality testing services in Kingston and surrounding area. We’ll help you detect and eliminate mold, asbestos and other indoor air pollutants safely and effectively. No other mold remediation company offers the level of service, respect and speed as Mold Busters. Call us today to find out how we can help you get rid of mold for good! Leaks, flooding and other types of moisture problems are the most common causes of mold growth in Kingston’s commercial and residential properties. Mold typically starts to form within 48 hours of a moisture intrusion, if the area has not been dried off thoroughly. This can then lead to serious structural damage and compromised indoor air quality, putting everyone at risk. 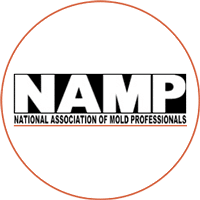 Getting professional help removing mold soon after a water intrusion has occurred can minimize damage to your property and lower the risk to your health. Mold Busters responds quickly to emergency requests for mold testing, inspections and remediation in Kingston. 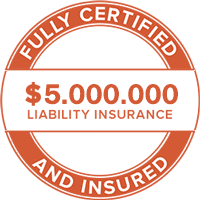 Our mold technicians are fully certified to test and remediate mold, and we’re proud to offer clients the fastest possible service at an affordable price. By getting rid of mold, you can improve your indoor air quality and thus your quality of life. For same-day service—be it an air test, mold inspection or mold removal—Mold Busters can help. Kingston rests on the eastern shore of Lake Ontario and touches both the Cataraqui River and the St. Lawrence River. These bodies of water attract tourists and provide ample recreational opportunities for locals, but they also contribute to a humid climate. This humidity makes homes and buildings in the area especially vulnerable to mold. Adding to this humidity is the age of the city. Originally established in 1673, Kingston is one of the oldest cities in Canada. The city has worked hard to preserve its historic architecture, which adds beauty to the urban core and supports tourism but also exposes residents to enhanced risk of mold. These buildings were designed with little awareness of the causes of mold growth and are therefore ill-suited to prevent it. They have also suffered considerable wear and tear over the years, with cracks in foundations and insulation allowing moisture to enter. 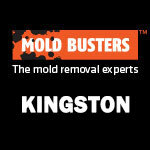 If you are looking for mold specialists in Kingston, Mold Busters is here to help. 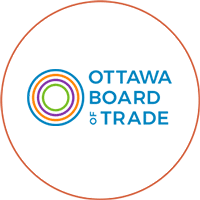 How can I get rid of unwanted odours in my Kingston home? 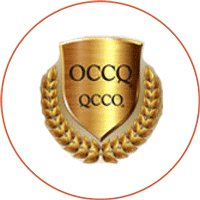 Odour removal is one of Mold Busters’ most sought-after services. After all, nobody likes a smelly home. We recommend the EZ Breathe ventilation system for odour removal in Kingston. It’s important there be sufficient air flow inside your home. Proper ventilation plays a big part in preventing odours and other air pollutants, including mold. Besides effectively removing odours, the EZ Breathe unit is compact, affordable, and energy-efficient. 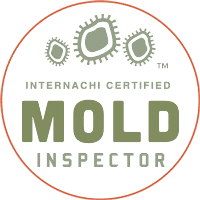 What’s Included in Our Mold Inspection Services in Kingston? Most people are aware of mold as a health risk but vastly underestimate its effects. Several strains are highly toxic to humans and can cause serious health problems such as headaches, neurological disorders, cancers, and several others. In addition to these health risks, it can threaten the structural soundness of commercial and residential buildings as well as negatively affect property value. 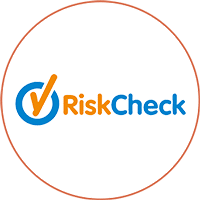 These risks become more severe the longer you are exposed, so it is important to detect mold early. Unfortunately, most people don’t think about mold until they notice signs of it in readily visible areas such as the surface of walls or ceilings. Mold typically begins growing inside walls, ceilings or attics, where it is hidden from view. By the time it shows up in the form of black spots on walls or ceilings, it has already been growing for weeks or months, spreading invisible spores all over your home. 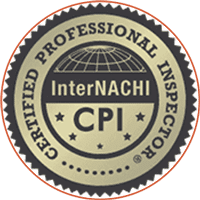 The only way to detect hidden mold before it has had a chance to thrive and spread is to hire qualified professionals for an inspection. 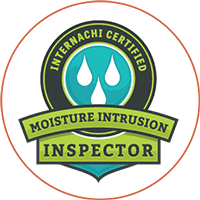 At Mold Busters, we conduct thorough inspections that can reveal mold growth anywhere in your home, no matter how well-hidden. We can perform a particle scan to identify microscopic mold spores suspended in the air and measure the precise concentration. We can scan walls with infrared cameras to identify sources of mold that are hidden to the naked eye. 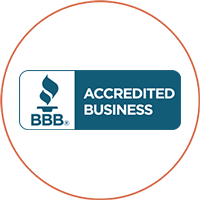 If you need mold inspection in Kingston, contact Mold Busters! Once mold is discovered, we will undertake a comprehensive examination of your home to determine the extent of the problem and the best approach to remediation. 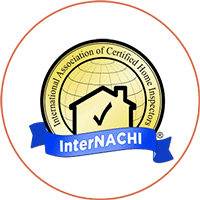 We will investigate the history and structure of your home, examining the ways ventilation and architecture may affect mold growth. We will measure the level of humidity and identify any areas of moisture buildup. We will collect air samples and send them to an accredited third-party lab to determine the strain of mold (health risks vary greatly depending on the strain). This detailed testing is necessary to guarantee a long-term solution. If we simply locate and remove mold, it will likely recur not long after it has been removed. In order to remove mold and ensure it doesn’t come back, we need to understand how it developed in the first place. Testing will tell us the original causes of mold growth and by addressing these causes we can create lasting solutions for you and your family. For mold testing services in Kingston, contact us today. If you have noticed signs of mold or if mold has been uncovered in an inspection, you should immediately begin remediation. You may be confident in cleaning up mold on your own but mold removal is far more complex and difficult than most people think. Removing mold can do more harm than good if it is not done properly. Tearing into walls to remove insulation, for example, releases thousands of spores into the air—spores that will spread and begin growing mold elsewhere in your home if the area is not sealed off properly. We always seal off affected areas and ventilate them with HEPA filters that capture mold spores. Mold Busters is a certified Canadian mold removal and remediation company. We have conducted home remediation services for over fifteen years in dozens of Canadian cities. 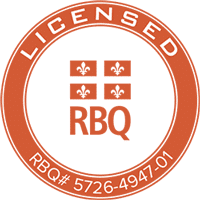 Our experts are certified with the National Association of Mold Professionals (NAMP) and the Régie du Bâtiment du Québec (RBQ). Also, all of them have completed water damage restoration training and thermal imaging courses. 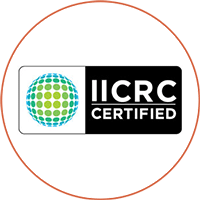 We follow ANSI/IICRC S500 and S520 guidelines for water damage restoration and mold remediation and removal. To schedule mold removal and remediation in Kingston, contact us today. Asbestos has been a popular ingredient in building materials for decades, thanks in large part to its resistance to heat, flames and electricity. Asbestos can be found in several building materials, such as insulation, exterior siding, pipe lining, cement, caulking, roof patching, paints, tiles and plaster. It can even be found in everyday products like ironing boards. Despite its many useful applications, asbestos is very harmful to human health. It is brittle and breaks up easily into tiny airborne particles. When these particles are inhaled by humans, they can cause severe conditions such as mesothelioma, asbestosis and even lung cancer. 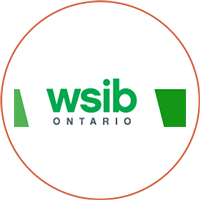 According to Health Canada, asbestos is safe so long as it is not disturbed, but some disturbance is almost inevitable. Hammering nails into walls, replacing drywall and just about any other renovation activities can release asbestos into the air. If your home contains asbestos, it should be removed immediately. The only way to find out if your home contains asbestos is to hire qualified professionals for testing. For asbestos testing in Kingston, call Mold Busters today. Do you suffers from allergies, chronic headaches or nausea? You may dismiss these symptoms as the result of stress or other factors, but they could be caused by poor indoor air quality. If you’re like most people, you’re probably more concerned about outdoor air quality than indoor air quality. We all hear alerts about outdoor air hazards due to smog or extremely hot weather. If you have allergies, you’re probably concerned about pollen and other outdoor allergens. But few of us know that indoor air affects our health far more than outdoor air. This has mostly to do with the simple fact that most of us spend the majority of our time indoors. The air in most homes and buildings contains asbestos, mold and volatile organic compounds (VOCs). And even if the concentrations are low, these contaminants can cause a variety of problems including headaches, respiratory problems, dizziness, chronic fatigue and many others. The only way to know that the air in your home or workplace is safe is to have it tested by qualified professionals. The Mold Busters team will undertake rigorous and technologically advanced inspections to uncover any contaminants in your air. For air quality testing in Kingston, contact Mold Busters now. &starf; &starf; &starf; &starf; &starf; Jesse from Mold Busters was excellent. On time, professional and honest. Will recommend him. 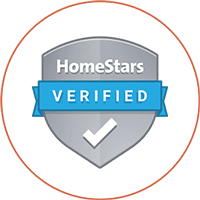 &starf; &starf; &starf; &starf; &starf; It was our first time in dealing with this company and although we experienced a slight hiccup, the owner and Manager stood behind their word and quality of their work and made it right. We were extremely happy and satisfied with how everything worked out - we will definitely we recommending this company! &starf; &starf; &starf; &starf; &starf; Charlie from Mold Busters was extremely professional, helpful and knowledgeable. Communication was very quick and easy by email. The work was done very quickly and the area was left very neat and tidy. &starf; &starf; &starf; &starf; Straight forward and professional. Explained everything nicely.